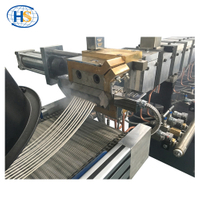 Improving the Transparency of PP Products - Nanjing Haisi Extrusion Equipment Co., Ltd. The transparency of matrix resin has great influence on the transparency of PP products. In order to improve the transparency of PP, a small amount of polyacrylate resin with good compatibility can be added. Nucleating agents can significantly improve the crystallization speed, crystallization rate and crystallinity. (1) Inorganic nucleating agent. Inorganic nucleating agents are mainly ultrafine talcum powder and SiO2, and also include calcium carbonate, mica powder, inorganic pigment and filler. Its price is low, the source is rich, but has certain influence to the product luster and the transparency. (2) Organic nucleating agent. Organic nucleating agent is a kind of low molecular weight organic compound with nucleation action. Sorbitol and its derivatives are the typical organic compounds, which have good compatibility with matrix resin, and can significantly improve the transparency and surface gloss of the products. (3) Dosage of nucleating agent. As far as sorbitol is concerned, when the amount of nucleating agent exceeds 0.3%, the effect of transparency improvement is not obvious and even decreases, but when the dosage is less than 0.2%, the quantity of nucleation is insufficient and the transparency is not enough. Therefore, the best amount of nucleating agent is between 0.2% and 0.3%. Thus the proper content of nucleating agent can improve the transparency of PP better. If the temperature is too high, the matter with low molecular weight in the nucleating agent will decompose and volatilize, reduce the effective component in the nucleating agent, and reduce the effect of improving transparency; And the higher temperature will destroy the original nucleation in PP, reduce the heterogeneous nucleation center, resulting in a decrease in the effect of modification. However, when the temperature is too low, the dispersity of nucleating agent is not good, and the transparency effect is poor. 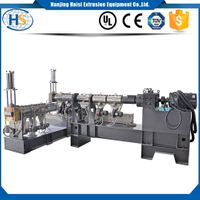 Therefore, the selection of appropriate molding temperature is particularly important to improve transparency. Because the toughening agent and PP can't dissolve each other and the refractive index is different. Refraction occurs at each other's interface, which will affect the transmittance of the material. The higher the content of toughening agent, the worse the transmittance of the product. The ideal processing temperature, cooling temperature and injection pressure are also helpful to the transparency of PP. 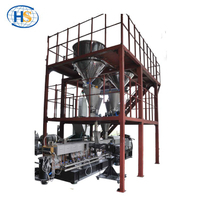 (1) Processing temperature: Under processing conditions, the lower the processing temperature, the smaller the crystal size and the better the transparency. (2) Cooling temperature: the lower the cooling temperature, the lower the crystallinity and the better the transparency. (3) Injection pressure, injection time and holding time will affect the orientation of the molecule, and the orientation will affect the crystallization of the molecule. 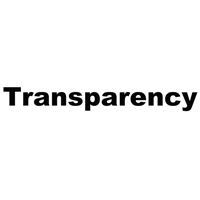 Therefore, the transparency of the products can be improved to some extent by shortening the injection and holding time and reducing the pressure without affecting the properties and appearance of the products. Comparing the products obtained by injection molding, stretching and film blowing, it is found that injection molding and film blowing have the best effect on increasing the transparency of the products. The higher the finish of the mold, the better the transparency of the product.